The weather is so gloomy again and I simply did not feel like getting out of the bed today. I thought of making something easy and delightful which will cheer up everyone. I had bought few Avocado yesterday and wanted to use them. I have not shared any recipe using avocado in my blog as yet. Avocado fruit is packed with fiber, proteins, vitamins and minerals. 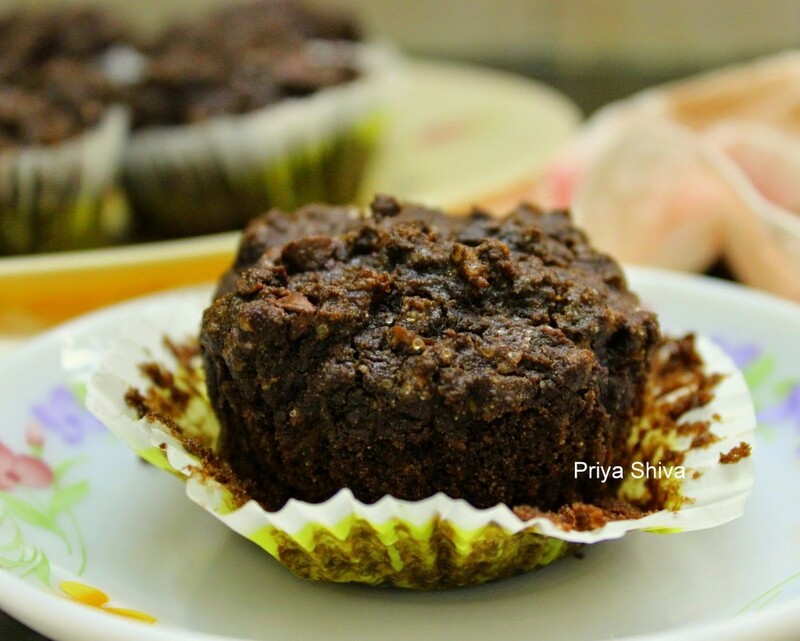 So, finally decided to make some chocolate muffins using Avacado and these are simply delicious.So, wish you all a Happy Sunday and hope you all try these muffins and enjoy with your family. 1) Preheat the oven to 180 degree Celsius for 10 minutes. Line a 12 cup muffin pan with paper liners or grease it with cooking oil. 4) In another bowl combine together the mashed avocado, curdled milk, vanilla essence, oil and remaining 1/4 cup milk. 1) You can add 1-2 tbsp milk if you feel the batter is too dry. 2) You can replace avocado with ripe bananas. Wow. this is the first time of me hearing about these. They look delicious. Thank you for sharing and welcome back Priya. 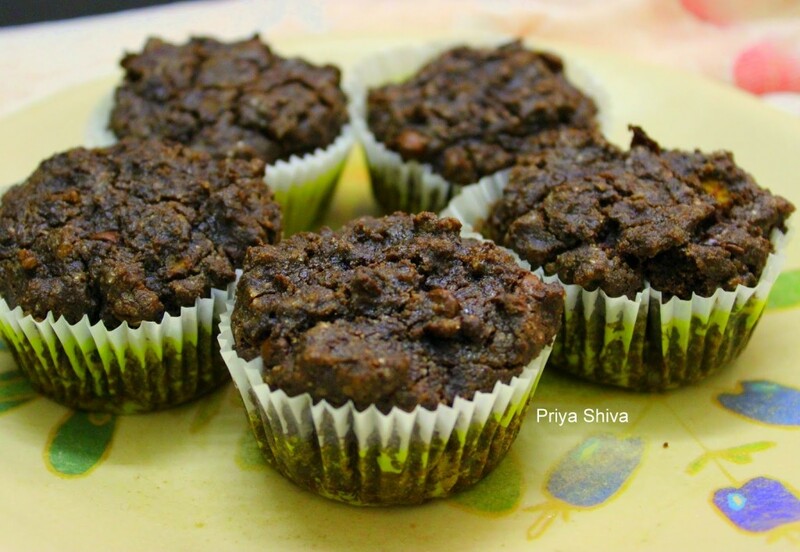 Avacado's gives a very nice texture to cakes and muffins ..You sure got a lot of cake recipes priya .. These look great Priya! I'm going to try them with gluten-free flour for my husband and see how they turn out!